Dessa Redd the acrobat! Topper the juggler! Fisk the strongman! 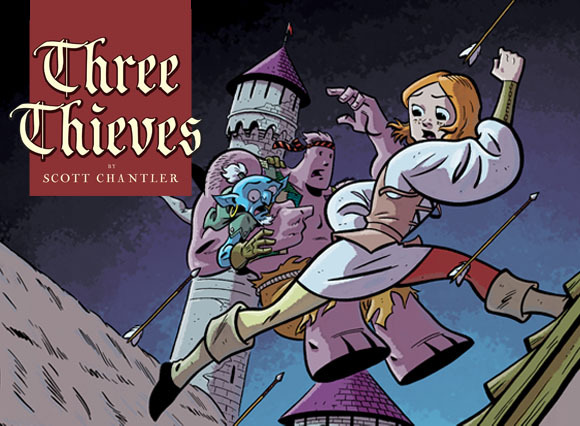 They are the three thieves and these are their thrilling adventures! The hunt is on! A treasure hunt that is! THE TRIED AND FAILED GANG: TREASURE TROUBLES is a story about an entire city getting caught up in the chase to find the prize, including a group of young kids who are putting their heads together to be the first to find it. Rad Dudes – Two kids, two skateboards, too much free time. Happy Saturday Morning! Welcome to Saturday Morning Webtoons. Grab a bowl of cereal, pick a “channel” above and start reading… Here you’ll find weekly and biweekly comics as well as a free download every month brought to you by an all-star line-up of creators. We’ll also have a few surprises along the way. 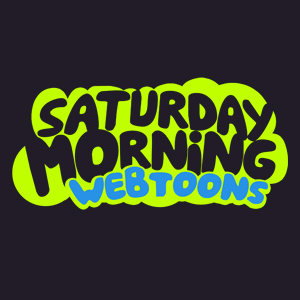 So bookmark this site, toon in every Saturday morning, and have some comics for breakfast! Adventure! The bizarre and supernatural! Ice cream sundaes! Join Otto, the speaking gentleman cat and the overly curious little lady Olive on their colorful (and sometimes spooky) escapades. Red Velvet’s Cupcakes is a sweet and stylish re-telling of the classic folk tale The Little Red Hen.